A Divorce Law Firm About 'You'. Divorce, Your Way. Don't wait any longer to begin the divorce process. The Badanes Law Office provides several different options to effectuate your divorce on Long Island, NY. Click on the link below to learn more about: Contested Divorces, Uncontested Divorces and Divorce Mediation. For parents with children, custody and support are essential issues that must be addressed. To learn more about child custody and child support, click on the link below. The best compliment we can receive is what our clients say about us. Read our testimonials by clicking on the link. Divorce is a difficult time, and you will face many important decisions. You need a divorce attorney in Suffolk County who understands that each divorce is different. At the Badanes Law Office, your needs come first. You will work directly with the Principal attorney, receiving prompt, reliable, and attentive care to all matters of your case. If you are contemplating divorce, watch our video below or contact us today at (631) 239-1702. Ask for your free consultation as well as a FREE financial consultation from local financial advisors. Call (631) 239-1702 or contact us to tell us about your case today. A Divorce Law Firm About ‘You.’ Divorce, Your Way. The motto of the Badanes Law Office is “The Law Firm With a Difference.” If you are facing a divorce or a difficult family situation, you will find many positive differences between our law firm and other firms, when looking for the best divorce lawyer on Long Island. Differences that will help you obtain the best possible outcome in your divorce, separation, post-divorce issues, child support, child custody, orders of protection and all issues related to matrimonial law and family law. We recognize how unique every case can be, and we take the time to understand your unique needs. You Should Know Who Is Working On Your Case. At the Badanes Law Office, the Principal Attorney always works on your case. Unlike some other law firms, were you never know which attorney is actually handling your case. Suffolk County divorce lawyer David Badanes has been described as: Intelligent, Ethical, Reliable, Trustworthy, Prepared, Zealous, Attentive, Available, and Detailed Oriented. Individualized Attention, From Beginning To End. We Are Prompt and We Stay Accessible: We have the experience, track record of success and passion for excellence in representing all of our clients. We provide excellent legal representation with reasonable hourly rates. Yet, you get a law firm with vast experience in matrimonial law and with proven results. Clients are surprised how accessible we remain to them at all times and our policy of a quick response time for all of their needs. Voted “Top Attorney” in the Divorce Category at AVVO, we take great pride in our reputation. If you are seeking a divorce, legal separation or you have been served with divorce papers, David Badanes, Esq. and the Badanes Law Office can help you traverse the often complex legal process properly, efficiently and help you attain the best outcome for your situation. As a highly skilled and experienced attorney, David Badanes can help you handle all the important issues in your divorce, including custody, parenting time, division of marital assets, spousal maintenance, attorney’s fees. The Badanes Law Office will make sure you are prepared for court and trial (if there is a trial). Whether you are going to have a contested or uncontested divorce, David Badanes and the Badanes Law Office provides specific legal advice for your particular needs. We represent your interests, provide quality guidance both pre and post trial, and determine the best course of action at all times. The Badanes Law Office has handled hundreds of complex and simple Long Island divorces, custody and family law cases. We have proven results. We are seasoned both in and out of court to handle your divorce case, vigorously providing effective legal representation. We are also experience mediators, helping you mediate your divorce with your spouse, out of the court system, so that you can move on. Contested Divorce: You and your spouse cannot agree on the terms of your divorce. The divorce is presided by a Judge, yet, this doesn’t necessarily mean that there will be a trial. Less than 5% of actual divorce cases go to a full trial. In the other 95% of divorces, the parties will eventually settle the terms of the divorce. Uncontested Divorce: You and your spouse agree on ALL of the terms of your divorce. Typically, this option is used by couples that have no children and no assets. Divorce Mediation: This is where you and your spouse will go to mediation to work out all the terms of your divorce. This option is typically best used by couples that can work together in resolving their differences. What 5 things should I do before filing for a divorce? Obtain copies of your financial statements. You will need copies of your recent tax returns, bank statements, investment statements, insurance statements, deeds, wills etc. You should make at least two copies of these financial statements and have them ready for your attorney. Prepare a budget. You should prepare a detail budget, knowing that your spouse will no longer be contributing any income. Living situation. Obviously, after the divorce, you and your spouse will be living in separate residences. If you will need to obtain a new residence, you should research the market and determine how much it will cost you. If you will be remaining in the residence, you will have one less income and one less person to help with the household expenses and chores. Take an inventory and photographs. Take an inventory of all of the personal property, especially any property that you want to keep. It is also a good idea to take photographs of the personal property. Too many times, in a divorce, expensive jewelry or other items will “disappear”. Children issues: If you have children, you need to decide what type of custody you want after the divorce and how much time you want with your children. If you want to obtain custody, then you should evaluate the pros and cons of why a court should grant you custody. If you will be paying child support, make sure you factor this into your post-divorce financial situation. How can I make my divorce shorter? Cooperate with your attorney. If you attorney requests that you provide documents, then provide those documents. The longer you take to provide documents, the longer your divorce will take. Treat your divorce as a “business deal”. Of course, a divorce is an emotional time, and if there are children involved, you must think of their best interests. However, when it comes to assets, debts and other financial aspects of your divorce, it is best to treat it like a business. Do not get caught up into the emotional aspects when dealing with assets. As just one example, when considering whether to keep, sell or give to your spouse some personal property, you must evaluate both the real cost of the item and the legal cost to fight for that item. Listen to your attorney. If your attorney tells you to do something or not to do something, then it is wise to listen to that advice. Too many clients will “shoot themselves in the foot” and make things worse. Tell your attorney, the truth and the whole truth: It is important that your attorney, knows everything, especially if it something that is negative or could hurt you. It is also important to tell your attorney all the facts as soon as possible. This will allow your attorney to plan a strategy to overcome the negative facts against you. Five Mistakes To Avoid in Your Divorce. Using your friends and family for your legal advice. When you are going through a divorce, many well-intentioned friends and family members will give you their advice. They typically will start by saying “In my divorce, I got …”. Although, they mean well, each divorce is unique and just because your friend “got” something, doesn’t mean that you will. Not telling your attorney the truth or telling your attorney only “half the story.” One of the worst mistakes you can make is not telling your attorney everything and/or not telling your attorney the truth. Invariably the true facts and the entire facts will come out. If you fail to tell your attorney everything, that will only put your attorney and your divorce in a bad situation. Indeed, if the Judge believes that you lied or that you are evading the truth, this will lead the Judge to believe that you are always lying. Even if the facts are embarrassing, you must tell your attorney all of the facts. Representing yourself. No matter how much reading and studying of the law that you do, if you try to represent yourself, you will most likely will fail. First, you are too emotionally involved in the case. Your divorce needs someone who can separate the emotional aspects of your case from the facts of the case. Second, you will never be able to bring the years of experience that a seasoned attorney can to the case. As the saying goes, only a fool would represent themselves in a case. Third, your attorney will know strategies on how best to handle your situation. Using your attorney as your therapist. Attorneys are trained in the law they are not mental health professionals. If you need a therapist, then you need to hire one. Posting on Facebook (or other social media sites). Clients will post all sorts of things on Facebook. Everything you say and post will be held against you. While you are going through a divorce, the best thing you can do, is to never use Facebook. Sole Custody: This is where the Mother or the Father has sole decision making about the upbringing and raising of the children. That person will make all the important decisions concerning the child’s life and does not have to consult with the other parent over these decisions. Joint Legal Custody, With Residential Custody to One Spouse: This is where the Mother and Father share decision making about the upbringing and raising of the children. However, one spouse will have "residential custody", which means that the children will primarily reside with that spouse. For purposes of child support, the parent who has residential custody will be the parent who receives child support. This is the most common type of custody. 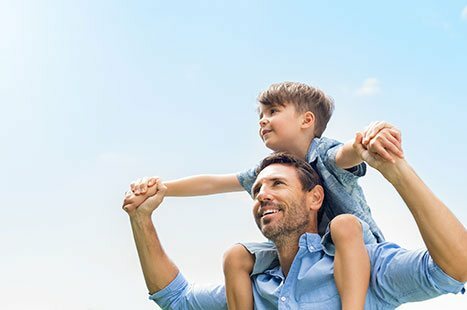 Joint Legal Custody, With Shared Physical Custody: This is where the Mother and Father equally share decision making about the upbringing and raising of the children. In addition, both parents have equal time with the children (or at least very close to equal time). At least in New York, this is still fairly rare. It is important not to confuse “custody” with “parenting time”. Custody, primarily means who makes decisions for the child. While, parenting time (which goes by many other names, such as “access time”, “visitation” etc.) involves what time the parents have with the child. Child support ends at 18 years of age. This is False. In New York State, child support ends at 21 years of age. There are some very limited exceptions, which your attorney can explain to you. The house (deed) is in my name only, so my spouse doesn't own it. Probably False. Typically, if you bought the house after your marriage, it doesn't matter that the deed is only in your name, you and your spouse will have equal ownership. There can be some exceptions, so you need to discuss this with your attorney. My spouse had an extra-marital affair, so I will get more money for child support or maintenance. Almost always False. Rarely does an extra-marital affair affect the amount of child support or maintenance that you will receive. Again, there are exceptions, and every situation is different. Once the Judge hears my side of the story, the Judge will give me what I want. Almost always False. Judges follow the law. More importantly, Judges rarely give you what you want and there is the common saying, there is your side, your spouse's side and the truth. In addition, Judges rarely hear your “side of the story”, as that typically only happens at trial. Most divorce cases settle, and trials are very rare. Even if there is a trial, you don’t get to “tell a story”, you answer questions from your attorney. After that, your spouse’s attorney gets to do cross-examination, where they get to put “holes” in your testimony. Myth: The amount of child support that I will pay is based on my take-home pay. This is False. You have your gross pay and then your take-home or net pay. However, the amount of child support that you will pay is not based on your take-home pay or on your net pay. The amount of child support is mostly based on your gross income, and usually you only get to deduct the amount that you paid in Social Security taxes and Medicare taxes. This amount will be a lot more than your take-home pay. If you are going through a divorce in the Suffolk County or Nassau County, Long Island area, you should know how to navigate the key issues surrounding your divorce. This instant download is an excellent resource for you and is free of charge. Download a copy of “New York Divorce Guidebook” here. -S.M., New Hyde Park, N.Y. If you live in Suffolk County, our office is conveniently located in Northport, close to the Long Island Expressway and the Northern State Parkway. If you live in Nassau County, our satellite office is located at 1225 Franklin Avenue, Suite 325, Garden City, NY 11530. If you or your spouse live in Suffolk County, then your case can be heard in Suffolk County Supreme Court in Central Islip. David Badanes is very familiar with the Suffolk County Judges and is well-respected by both Judges and other attorneys. If you or your spouse live in Nassau County, then your case can be heard in the Nassau County Supreme Court, located in Mineola. David Badanes is also well-known to the Nassau County Judges. The Badanes Law Office serves clients facing divorce, child custody, child support and other family law issues throughout Long Island, New York, ranging anywhere from Montauk to Queens and to all the towns in-between. We are especially convenient to clients living in Northport, East Northport, Commack, Huntington, Melville, Smithtown, Centerport, Greenlawn, Elwood, Dix Hills, Kings Park, Huntington Station, Saint James, and Stony Brook in Suffolk County. When difficult legal situations arise, you need someone with experience on your side. 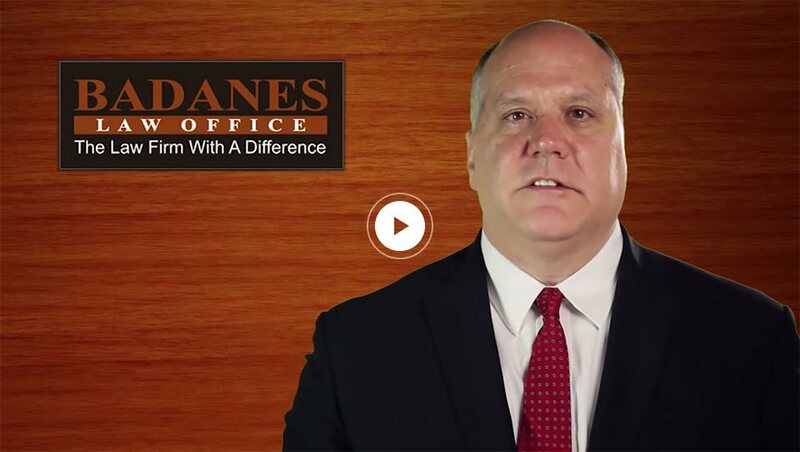 At the Badanes Law Office, we have the experience and excellence to make a difference in your divorce or family issue. We provide: A firm commitment to your case, whether it is litigated or uncontested; individualized attention; Extensive knowledge of all divorce processes and court proceedings; excellent references with highly successful results; and, a personable, accessible, responsive attorney who is there for you when you need it the most. Don’t wait. Start planning your future. Call David Badanes today at (631) 239-1702, or fill out our form, and we’ll reach out to you!